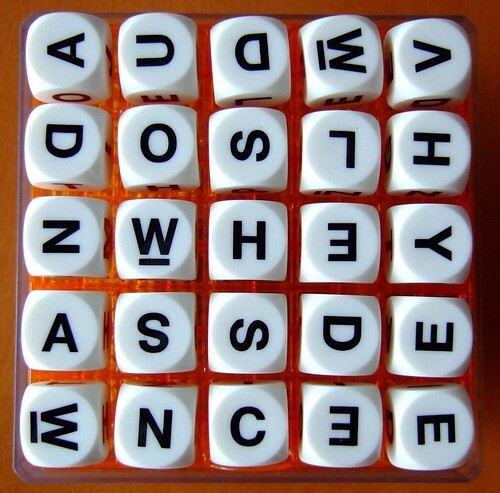 Number one daughter got me an uber-Boggle for my birthday. It does 5x5 puzzles. Wonderful.